If you are relatively new to IDPA, and want to come out of the gates running, or an experienced IDPA shooter looking to improve on your match standings, this class is for you! Our instructors are highly accomplished competitors in numerous action pistol and multi-gun sports.We’re Master Class shooters in IDPA, and have competed in Regional, State, National and World Championships.We have shot with and trained with the best shooters and finest instructors in the US. Now it's our turn to share those winning strategies with you. 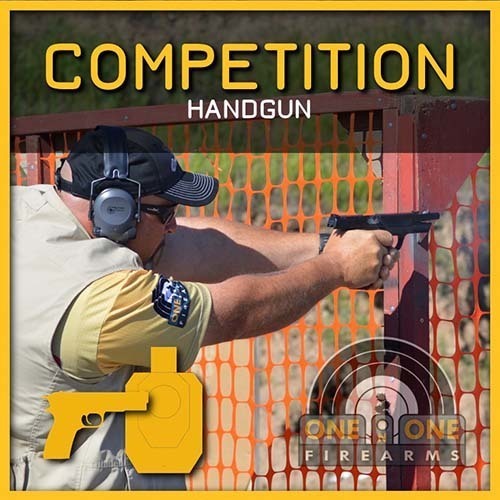 COURSE OPEN TO: Must have shot at least one IDPA, USPSA, Wild Bunch, or 3-Gun match and/or have an acceptable level of handgun training from ONE on ONE Firearms (Level 2 handgun minimum). Other previous training experience may be allowed at the instructor’s discretion. Students should bring the following items to this course. This is a competition class, so bring your competition gear, including your match apparel. A Great attitude & open mind! RANGE FEES: We will collect range fees from each student from $5-$16, depending on SAC VALLEY SHOOTING CENTER membership status.